It’s time for a new Solar Rebate Qld! In a previous post, I showed there is no such thing as interest-free solar. In fact, going “interest-free” with companies like Brighte and Certegy will end up costing you more than genuine low-interest loans. It turns out that there is such a thing as a free lunch when the Government is shouting. 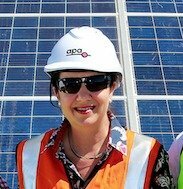 As of 28 June 2018, the Queensland Government is providing interest-free loans for solar. Later in the year, the Qld Government will be providing rebates for battery storage. The rebate is available for households and small businesses as part of the Affordable Energy Plan. This post will explain why I was at first a massive cynic of the latest Queensland Government solar panel rebate, but why I have changed my stance. If you are more interested in the Solar Battery Rebate that began on the 19th of November 2019, read this why it’s a bad financial idea. When I heard the Qld government was offering a solar rebate I was flabbergasted. The Solar industry is booming because solar is a no-brainer. My biggest challenge in business for the last couple of years has been finding the right electricians and apprentices to train up. The only reason we have not trebled in size this year is that training a team of installers to do the job right takes time. Company growth works best organically and the reputable players in today’s solar industry don’t need government stimulus. Then again, maybe the Affordable Energy Plan is not all about creating work for people like me. A maximum loan amount of $4500 over a period of 7 years. Repayments, in this case, would be $54 a month – which would be significantly less than your savings on your power bill. You can purchase a system for more than $4500 and pay the difference yourself. 1,500 Queensland Government interest-free loans and grants for systems with battery storage, available in late 2018. (Find out why they battery grant still makes no financial sense). have a power bill of more than $1,000 over the past six months. Small businesses can also apply for the battery grant, but will not be eligible for an interest-free loan. So it might just be that the “Affordable Energy Plan” is not all about me. It was designed to make energy affordable for those who can’t afford it. I was wondering why they didn’t call it the “Solar Industry Stimulus Plan”. Limiting the interest-free loan to homeowners who are on “Family tax benefit Part B” means it is focussing on families who are struggling to pay power bills. These households might also struggle to get an honest and affordable loan for solar. A low-income family may have otherwise been conned into the “No interest ever” offer from companies like of Certegy and Brighte. But there remains a concern. Who is going to install these 5000 solar systems offered by the solar rebate Qld? Whenever the words “Solar rebate Qld” is spoken, the cowboys saddle up to make a quick buck. 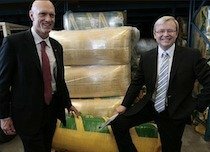 Is all the hard work of the Clean Energy Council about to be undone? 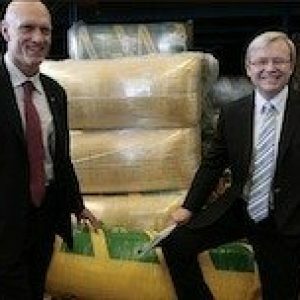 Back in 2008 and early 2009, the Rudd Government introduced the Home Insulation Program (HIP). The government designed the programme to create an overnight surge in consumer investment in ceiling insulation. Almost overnight, 10,000 installation companies sprang up and completed over 180,000 installations within a month. However, the profiteering from less-than-scrupulous operators meant that there were thousands of barely-qualified workers out in the field; installing batts, working around live electrical cables and doing shoddy work. In fact, later reports discovered that over one-third of the entire installations were flawed. The royal commission found that the blame for the disaster lay with the government’s program. If the government had adequately developed, regulated and implemented the scheme, they would have prevented four deaths and many fires. Thankfully, the Qld Government recognised that the Solar Rebate Qld announced just before last year’s election was potentially disastrous. To prevent history repeating itself, they consulted with the Clean Energy Council and put in one important measure to keep the Cowboys out of town. That measure, in a nutshell, is you have to buy off MC Electrical, (or one of the other 30 Clean Energy Council Approved Retailer in Queensland). I told you I had a vested interest. The Clean Energy Council Approved Retailer programme is about a solar business adhering to a code of conduct in their dealings with the public. To apply, amongst other things, you can’t have a relevant history with the ACCC or Fairtrade. You can’t be a phoenix company: you cannot be a past director, manager or close relative rising from the ashes of a previous failed solar company. Well, that just narrowed the field! We were the 24th solar company in Australia to sign the code. As of May 2018, only 61 approved retailers have signed the code nationally. 154 companies have applied to be a CEC approved retailer. The Queensland Government has narrowed the field by saying if you want to access their solar rebate, you have to purchase from a Clean Energy Council Approved Retailer. Only 30 of these companies operate in Queensland; only a handful are based in Brisbane. 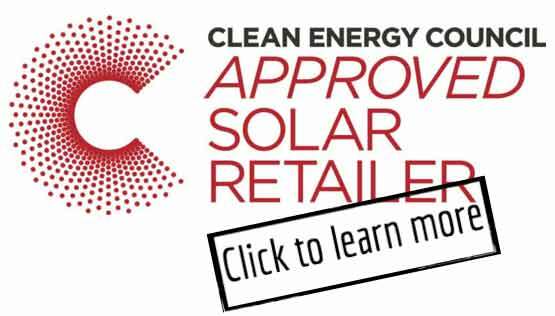 This is not to say that that only Clean Energy Council Approved retailers are reputable. Neither does it prove our reputation. (SolarQuotes.com helps with that by rating MC Electrical the best in Australia by customer reviews.) Instead, the Qld government has excluded obvious cowboys and Pheonix companies, and in turn motivated reputable companies to join the Approved Retailer programme. At first glance, the Solar Rebate Qld sounds like an unwanted incentive for solar cowboys. In a time when the solar industry is booming, we don’t need government handouts. However, the government’s motivation is to assist low-income households who struggle with high power bills and can’t afford the upfront costs of solar. The Queensland Government has done well by consulting with the Clean Energy Council. 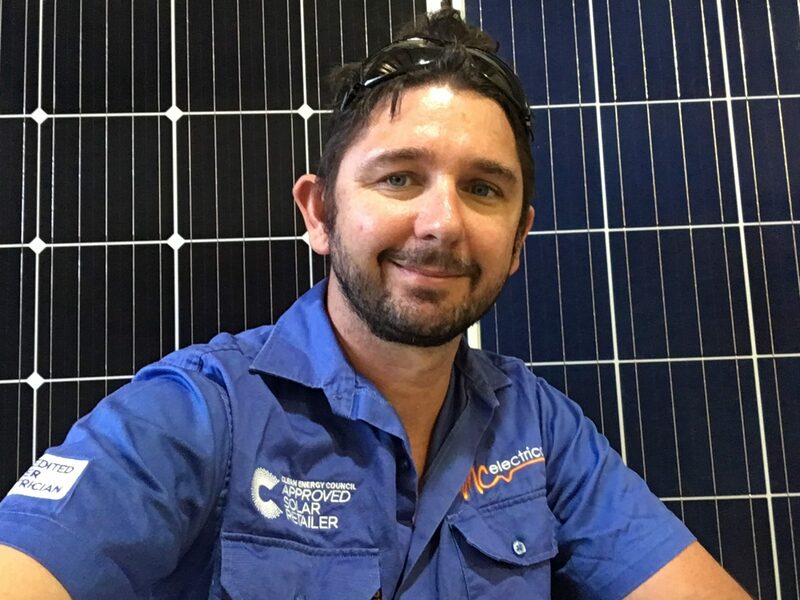 As a result, they have limited the Solar Rebate to 30 CEC approved retailers in Queensland, and motivated other reputable companies to join the programme. In case it wasn’t obvious, I think you should choose us to install your solar. If you are eligible for “Family Tax Benefit B” and are in South-East Queensland, contact us. If you are thinking about the solar battery rebate, this post explains why so solar battery rebate is a bad idea. Hi Judie, If you use a CEC approved retailer, you get a point of sale discount which generally covers the cost of panels. Make sure you get a reliable company to do a battery set up! You'll want them to be around for years to come to help with servicing. We are looking at purchasing a property that has no close access to electricity, so i'll need to have a fairly good size solar set up to manage comfortably. We are not huge income earners but do not receive any kind of government benefit either. Are there any rebates that will help us in setting up such a system? Hi Shaun, no I haven't heard about them. So many companies have now signed up to the CEC approved retailer code of conduct. The question may be, why have they not? It seems they are not Electrical contractors, so they would only be able to use subcontractors. I'd suggest it's difficult to control quality if you are just a sales company. Hi Clem, No it's not retrospective. If you are looking for a second battery, I think you would be. Given the Qld solar battery rebate information have been released in full as of the 19 November, could you please update your thoughts with these newly released details. Hi Don, no i believe the condition is you need to be a homeowner. My daughter and two kids are moving into our house, she gets this family tax sup. She does not own the house but will be living in it. Can we get the interest free loan for solar? Hi Gabby, as I understand it, you can't unless you have a separate electricity account for that shed. Hi, We already have a small system that is not generating enough solar for our needs. Would we be eligible to install a totally separate system onto our newly built shed under this loan scheme? Location: Gold Coast. Hi Cameron, I don't think so. You need to be on Family Tax Benefit B. With "green loans" or a low-interest loan for solar, you can end up paying less in repayment than your savings you are making by having solar. In other words, solar can be cash flow positive. Hi Mark, What about pensioners/retirees? Are they eligible? My in-laws are on a very low income and struggle to pay their electricity bill and don't have the capital available to pay for a solar system. Is there a scheme available to help them out? I'm sure they're not the only pensioners/retirees in this situation. I'm going to pay for a system for them in any case. I am very keen to avail this rebate for battery solar. Please update me if ther e is an availability ASAP. Our registered business address is our residential address where we also work from, I'd be keen to see if we could take advantage of a grant to add a battery to our 2017 MCE install. Hi Lorna, I'm not sure. Full details have not been released, but I imagine that may be the case. Hi Looking at the wording on the Govt website this interest free loan for solar is only allowed if a $1000 electricity bill has been accrued. This tells me the property would only be eligible for the interest free solar loan if the property is already connected to the Ergon electricity grid which supplies the Western Downs area. Have I got that right? Thankyou Kind Regards Lorna. Hi Andre, In short, you can't increase the size of the system, or you will lose your 44c. Adding another system is the same as increasing the size.